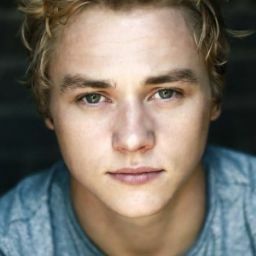 Ben Jones (born 2 January 1991), known professionally as Ben Hardy, is an English actor from Bournemouth, England. He grew up in Sherborne and attended The Gryphon School. Hardy starred in The Judas Kiss (1998) play, written by David Hare, in 2012 and played the character Arthur Wellesley, a member of the hotel staff. The play was held in Hampstead Theatre on the September 6, 2012. On April 19, 2013 it was announced that Hardy would play Peter Beale in EastEnders, taking over from Thomas Law who played the character from 2006 until 2010. He made his first appearance as Peter on 7 June 2013. Hardy left the show in 2015. Hardy portrayed Archangel in X-Men: Apocalypse (2016), his first film role. He portrays drummer Roger Taylor in the upcoming biographical drama Bohemian Rhapsody (2018).